"Professional, Experienced & Reliable DJs"
We are a mobile DJ service providing entertainment for weddings, parties, corporate events and more. This experienced and versatile team of DJs know how to cater to a range of different crowds, and have a wide knowledge of music to suit a variety of tastes and occasions. 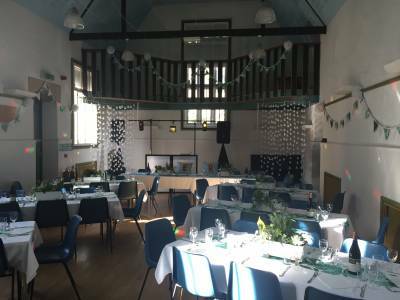 Our DJs offer a high standard of professionalism in advance and during the event, liaising with clients to help ensure customer satisfaction, and can be flexible to suit our clients' needs. Get in touch for quotes and further information. Required by many venues, UK Mobile Discos Ltd has a current PLI policy with National Association of Disc Jockeys in the amount of £10 million. Also required by many venues, UK Mobile Discos Ltd has supplied satisfactory evidence of holding current PAT inspections of their equipment dated within the last 12 months. A Method Statement outlining UK Mobile Discos Ltd&apos;s Health & Safety procedure for setting up disco equipment has been provided. 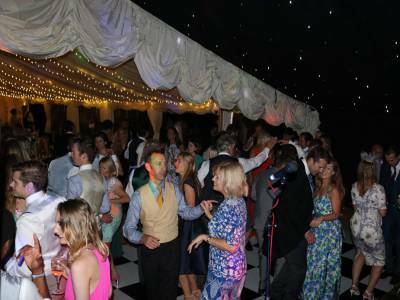 Why do people choose to book UK Mobile Discos Ltd? "The communication up to the event was brilliant. The night was amazing with great music for all ages to enjoyreally couldn’t fault it at all. " "Thanks for a wonderful evening of music." "Richard was brilliant, his pre event song picking website worked brilliantly and allowed guests to choose obscure tracks in advance. He was such a nice bloke we'd definitely book him again. Thank you "
"great dj at very affordable price. Would recommend to anyone"
"Thank you so much for taking the time to leave feedback, it's really appreciated. Hope you have a great Christmas and best wishes for 2018." "Polite lads but inexperience showed. " 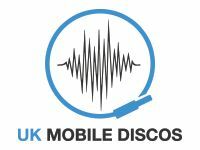 If you are contacting UK Mobile Discos Ltd about an event, it's always a good idea to include the DATE, LOCATION, EVENT TYPE, AGE GROUP and TIMINGS to speed things up!